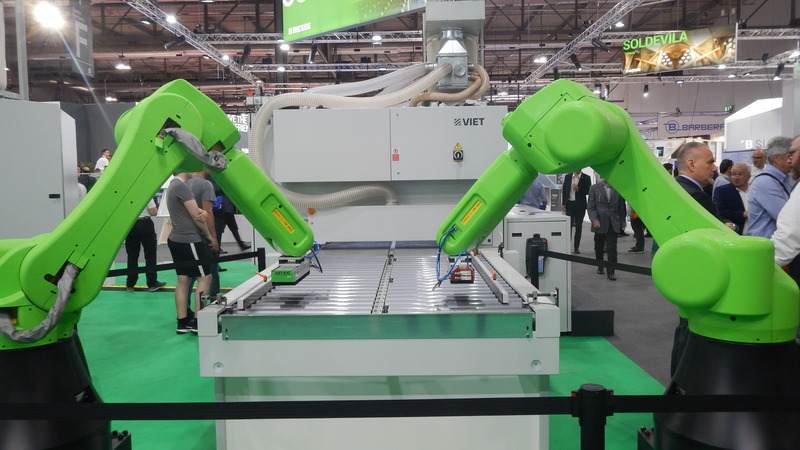 Robots facilitate the offloading of panels from a Biesse Viet sander during Xylexpo 2018. 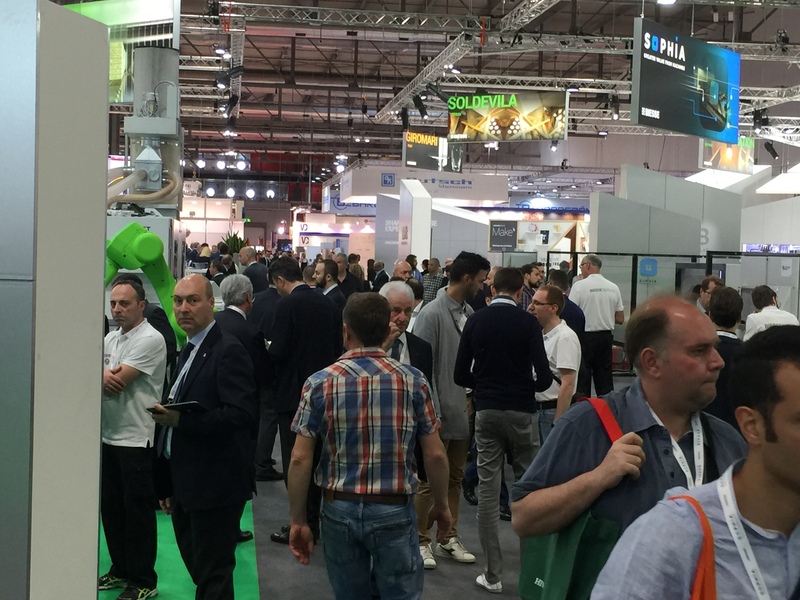 MILAN, Italy – Biesse's theme for Xylexpo 2018 was "Automaction," describing its Industry 4.0-ready technology and innovation. 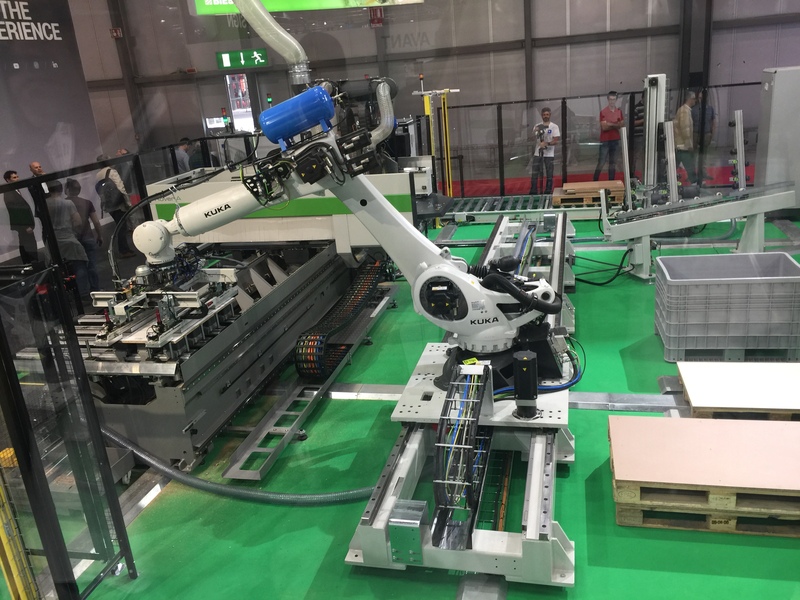 "Automaction perfectly epitomizes the practical, concrete nature of Biesse solutions for the creation of an automated and interconnected production process," said Federico Broccoli, Biesse Wood Division Director/Sales - Subsidiaries Division Director. "Actions not words, products and no longer prototypes, numbers and results"said Broccoli. Federico Broccoli, Biesse Wood Division Director/Sales - Subsidiaries Division Director addresses the press at Xylexpo 2018. Biesse presented the new features of its Internet of Things app, SOPHIA, designed to bring major improvements to the personalized interaction with the customer in accordance with the machine in use, enabling significant reductions in the time taken to provide assistance. SOPHIA is a digital platform that provides users with access to more machine information and initiates concrete actions to optimize performance and monitor the quality of the work produced, anticipating the causes of faults and providing clear solutions to resolve any anomalies. The data gathered and analyzed by artificial intelligence is transformed into useful data to help optimize customer production and product quality, providing valuable opportunities for growth. This information also provides customers with tools to prevent problems that could damage production. SOPHIA allows Biesse to take proactive steps to contact customers, reducing machine stoppages and inefficiencies. Stream MDS edgebander with Robot for unloading the processed panels and moving them on to the subsequent production processes. 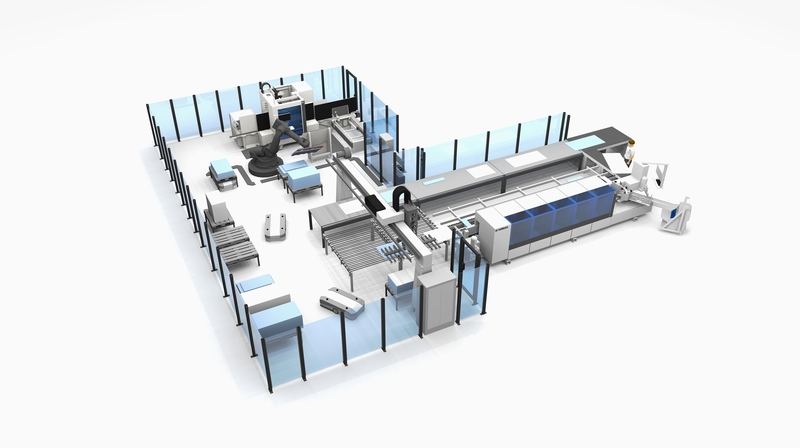 Viet Opera R2 will also be present, capable of machining 2 rows of panels in parallel, loaded into the machine via 2 fully-integrated robots.